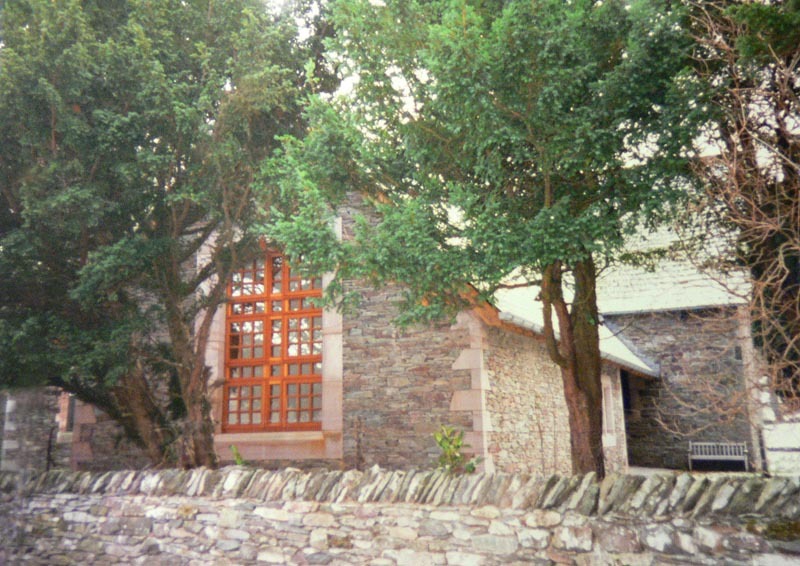 The extension to St Patrick’s, designed in collaboration with the architect Ed Hill, is located on the north side of the Church with its internal door immediately opposite the main entrance Porch. 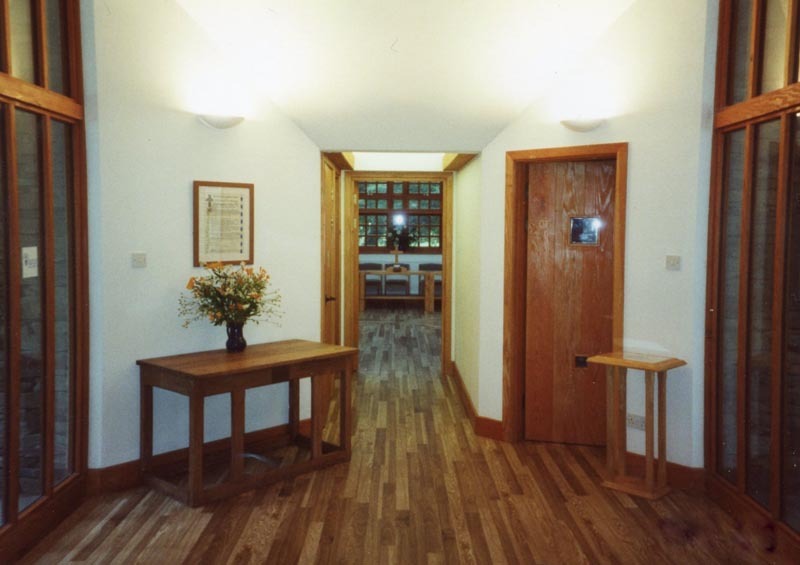 The accommodation consists of a new Parish Room with separate kitchen and toilet facilities and it is linked to the Church by a lobby which is also accessible from outside. 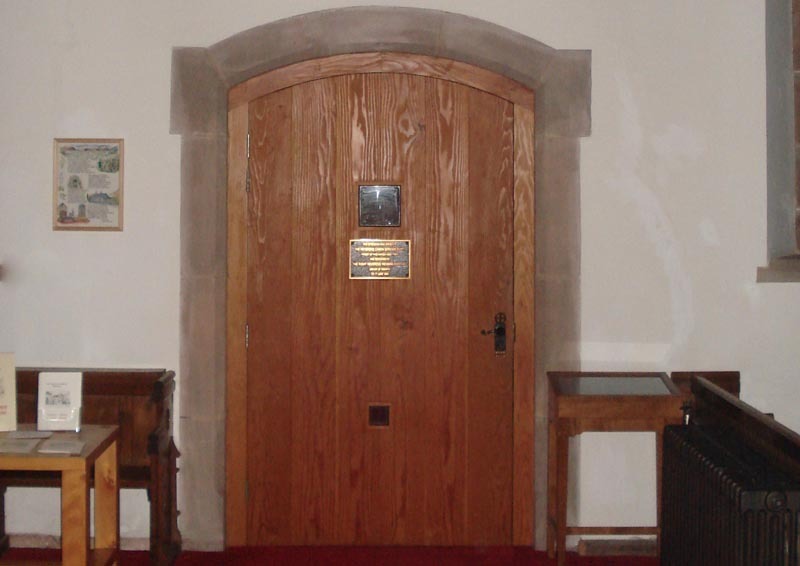 It has its own heating system and it can therefore be used either separately or together with the Church. 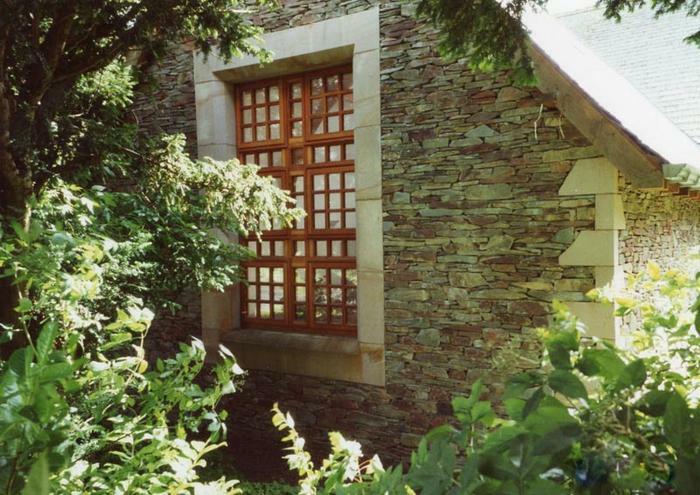 The materials for the walls and roof were carefully selected to match the existing building – in particular the idea of exactly matching the slate walling with its characteristic reddish hue was a key consideration in the design. 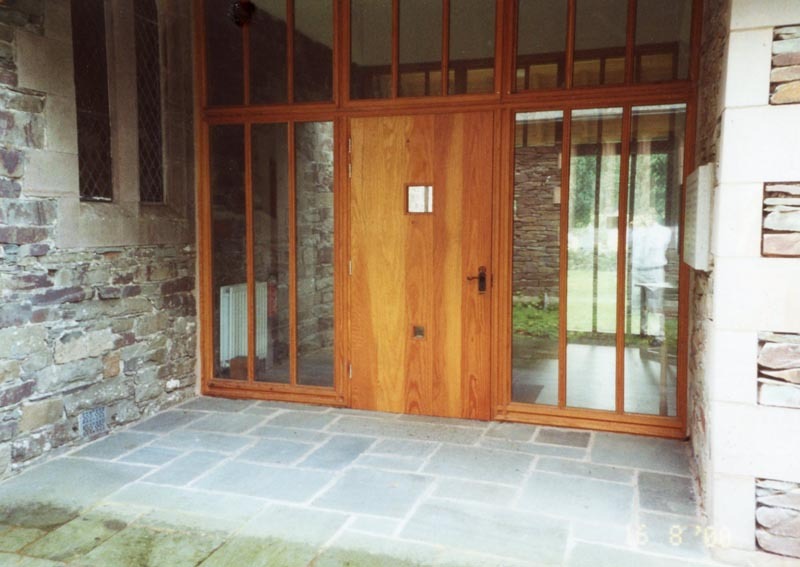 The slate was selected by hand at a quarry in Elterwater and brought to the Church across the high Kirkstone Pass. 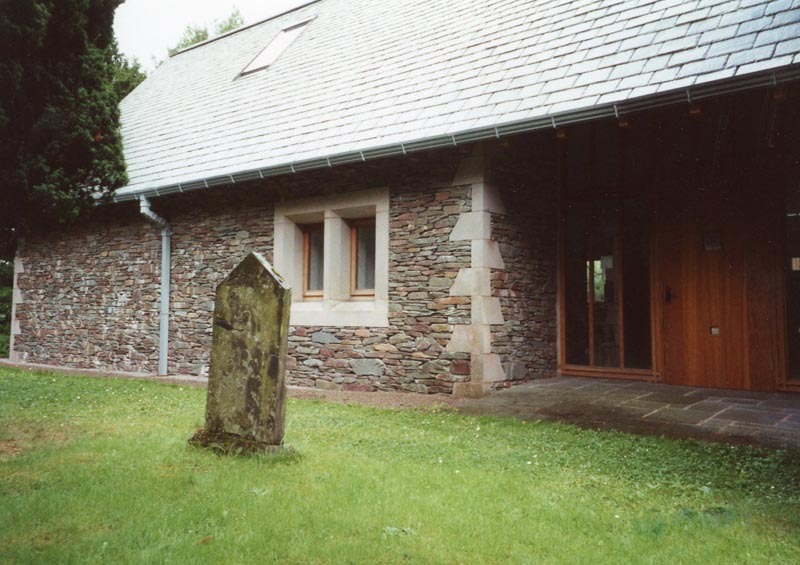 The roof is covered in green slate laid in random widths and diminishing courses with a new sandstone ridge. 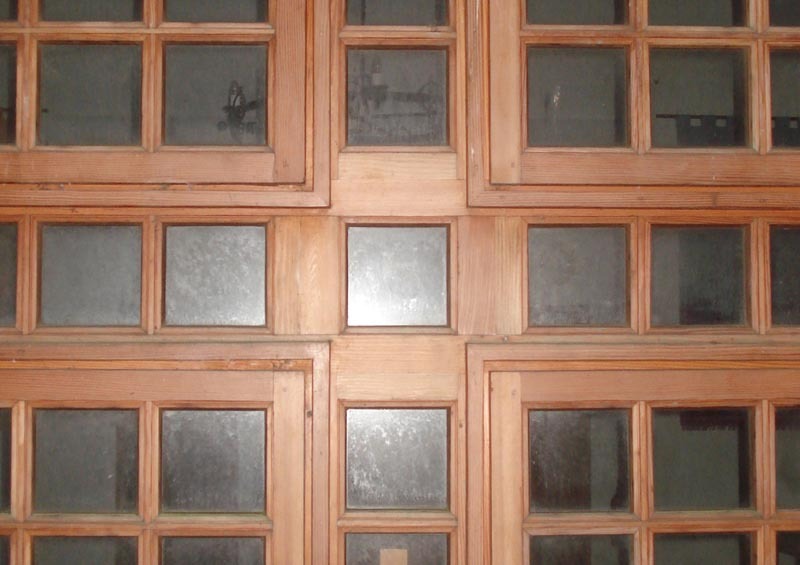 The windows and other joinery are, however, in Douglas fir and are designed as a deliberate contrast to the Church windows with a strong double cross form in the north window. 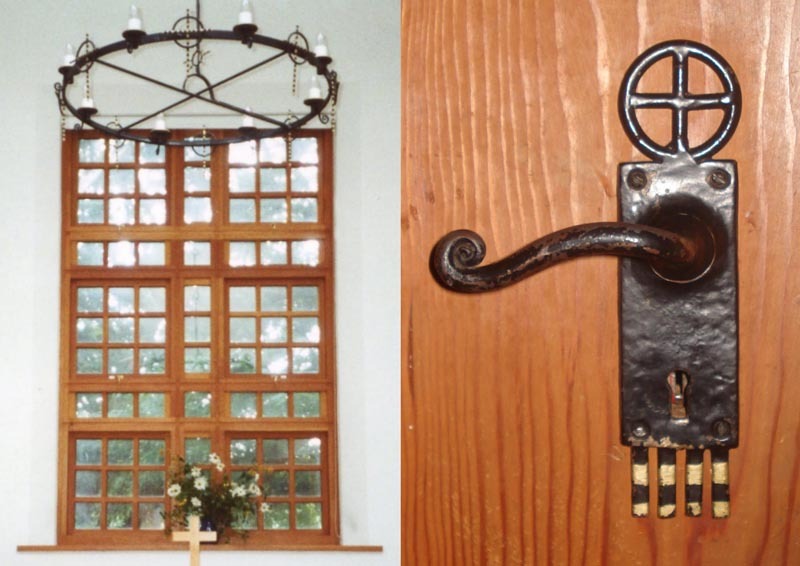 The ironmongery and the internal circular lighting fitting were designed in collaboration with Ann Evans, a craftswoman based in Wales. 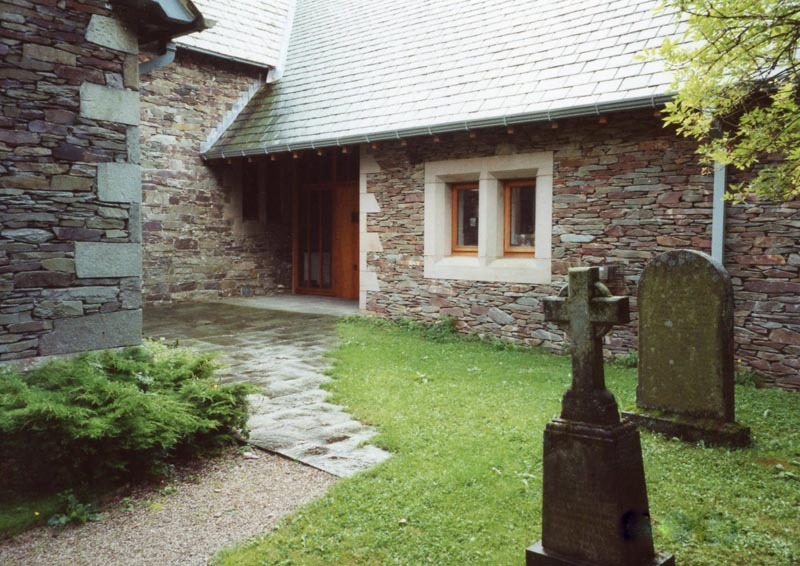 The extension was favorably reviewed in the 2010 edition of Pevsner.